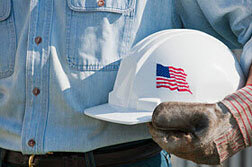 We've developed a set of Quality Control Plans, Manuals, and Templates to comply with the U.S. Naval Facilities Engineering Command (NAVFAC) contractor quality control (CQC) Requirements. We'll assemble a CQC Plan based on your contract specifications and personalize it with your company name, logo, and project information and provide support to help you with your submittal. If you have non-standard or very complex requirements, we offer customization services to write additional policies or work with you to create a custom plan. You'll also get a set of inspection forms for the divisions you work in. See By CSI Divisions for more information.